Workday: Hooper Island April 27, 2013 – Chesapeake Chapter U.S.L.H.S. Two volunteers spent a beautiful spring Saturday on the Hooper Island Lighthouse. They replaced three of the old windows that had rotted with brand new ones. 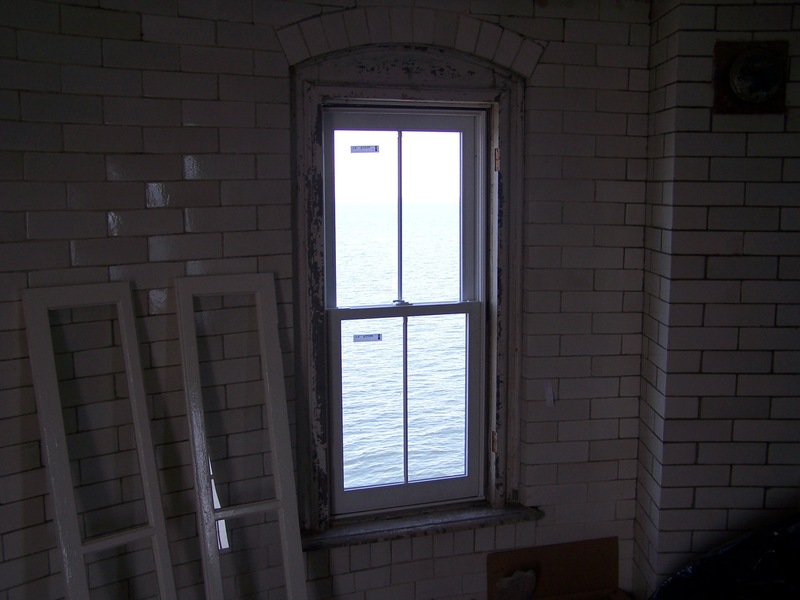 The new windows provide a nice clear view of the Chesapeake and – they don’t leak. After installing the windows they spent what little time was left cleaning up the area. Al Smith cleans up after installing window. 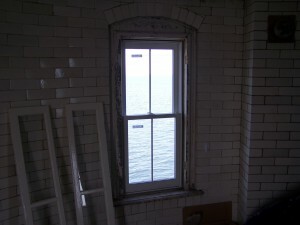 New window installed on Hooper Island Lighthouse overlooks the Bay. 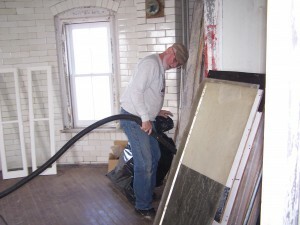 On May 25th there will be a volunteer pick up at the Calvert Marine Museum for work on Hooper Island Lighthouse. If you’d like to have a unique experience, consider volunteering for work on this light. 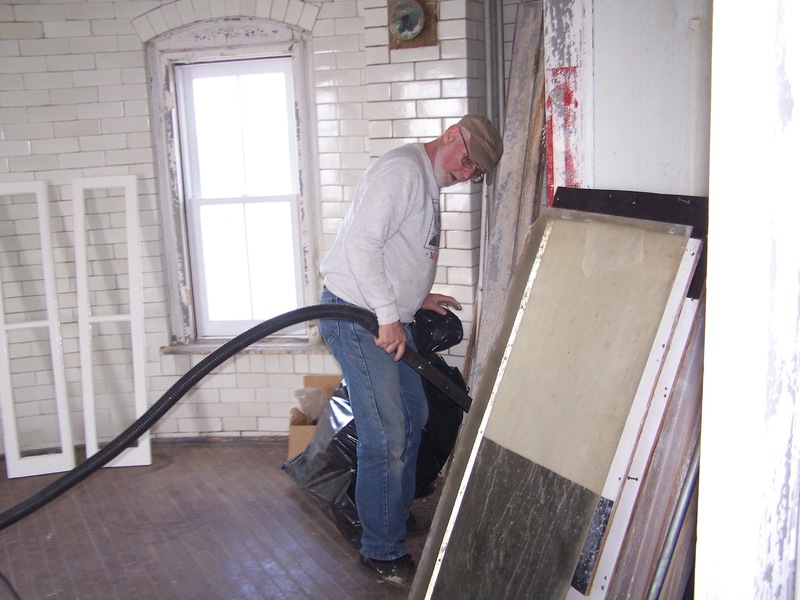 We can use the volunteer help, and you can climb aboard an active caisson lighthouse in the Chesapeake Bay. Is there a better way to spend a weekend?